Well, in case you hadn’t notice…. the blog was down for a couple days. Can I just say that I hate domain names? Long story- but lets just say it has been a nightmare trying to get everything fixed. So. I’m having to use the good ol blogspot domain until we can figure everything out. Oy vey! Anyway, I have been wearing so much pink and red lately with it being the month of LOVE. I decided to throw on some neutrals to change things up a bit. Ask me how much I love this top and these booties- obsessed!! Previous Post My Oasap Top Picks!! Love that top and this whole outfit. Very classy! Love it! Especially your boots and bag! I LOVE the way you combined the white blouse with the leopard over it. 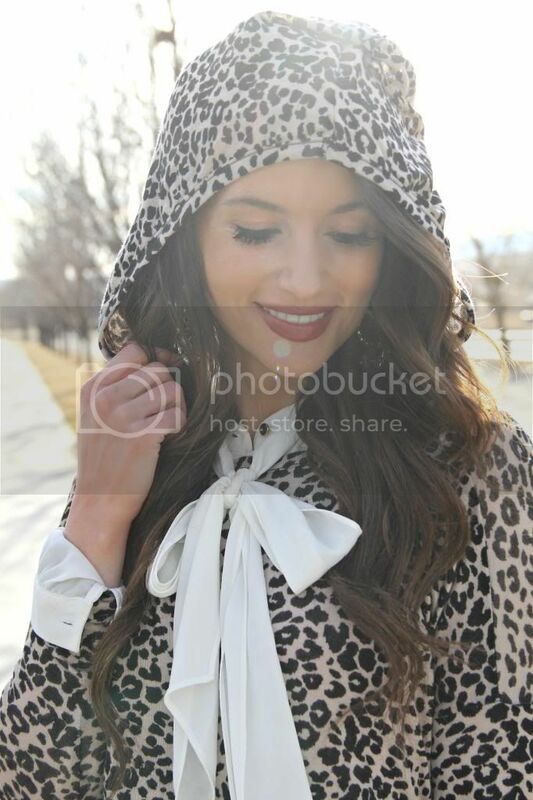 And I'm almost died when I saw that the leopard shirt had a hood. Amazing outfit! Looove this whole outfit! Gorgeous!